Magnificently Renovated! 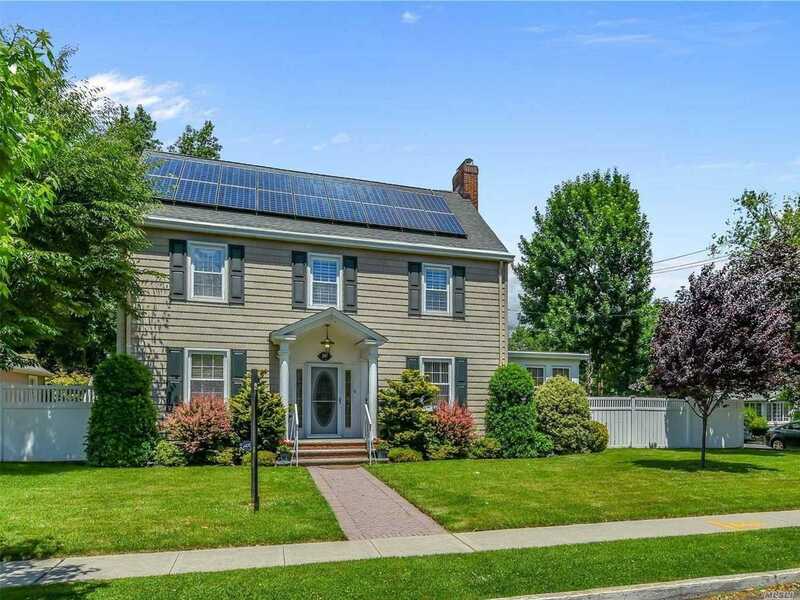 This Beautiful Center Hall Colonial Boasts 4 Bedrooms and 2 & 1/2 Bathrooms Situated On A Lush, Landscaped Corner Lot. The Spacious Living Room Has a Wood Burning Fireplace. A Formal Dining Room Off the Open Kitchen With Custom Wood Cabinetry and Granite Countertops Has French Doors That Open To The Brick Patio. Off Of The Kitchen Is A Pantry With 1/2 Bathroom And Another Door To The Private, Fenced Yard. A Sun Drenched Den With Wall To Wall Windows Completes The First Floor. Gleaming Hardwood Floors Throughout The Entire Home. On The Second Floor There Are 3 Oversized Bedrooms With An Enormous, Full Bathroom. The Finished Attic Has 1 Large Bedroom Suite With Another Full Bathroom. A Walk-In Cedar Closet and Storage Complete the 3rd Floor. The Large, Finished Basement Has A Refrigerator, Storage, Laundry Room and Utilities. The 2 Car Garage Has An Extra-Wide Paver Driveway. Solar Powered. You Must See This Home To Believe It!